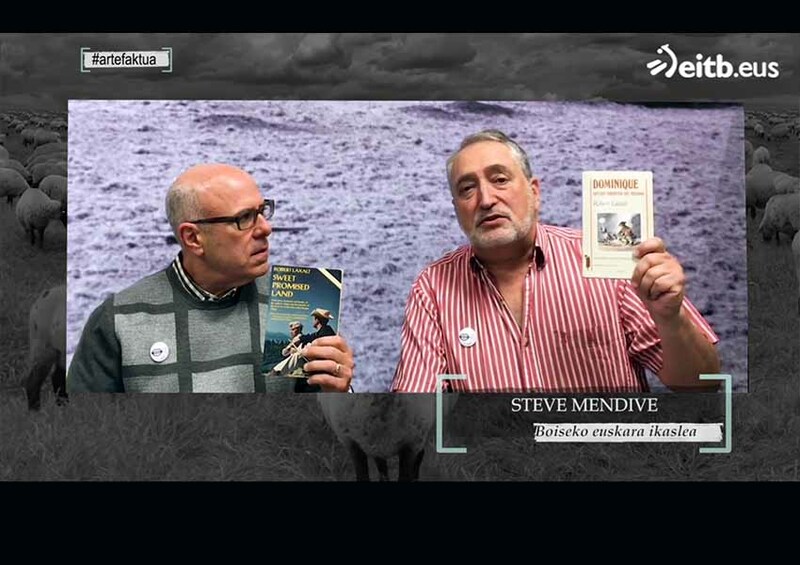 John Bieter, Henar Chico and Steve Mendive. Last year in our class we watched a TV show called Arte(faktua) of ETB. In each episode they present different books. The presentations are sent by several people from all over the world. After watching the show we decided to send our review of the book of Robert Laxalt called Sweet Promised Land –Dominique, artzain xiberotar bat Nevadan. This person from the region of Xiberoa, in the French Basque Country, Dominique, spent 57 years working as sheep herder in the American west. Then, he went back to the Basque country with his son. After taking the trip, at the end, he asked himself: what am I? Basque or American? That is the main point of the book. This is a universal subject, but in this book the story of immigration, its situation, nature and effects, is told from the point of view of a Basque person. Today there’s more people than ever moving from place to place. That is why this is a universal subject. What gives shape to our identity? Each person needs to decide that. Our Basque class is in example of that, all of us feel Basque but each one of us in a different way.